Kentucky, or at least my area of the state is having its first major storm of the season. We're expecting to get between 8-18 inches. Which means everyone made a run to the store for milk and bread. Does this happen in other states too, or just Kentucky? I use to laugh. What do you exactly downing only milk and bread? 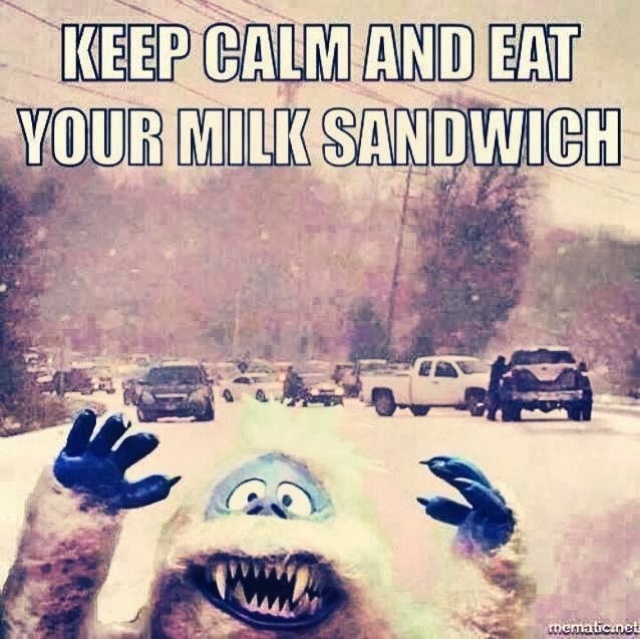 Make a milk sandwich to be exact. I'm here to guide you through making the best milk sandwich. The bread can be toasted but only just lightly so you don't lose the white. Cover completely with milk and serve with mashed potatoes or mozzarella string cheese. The goal is to have a completely white plate. 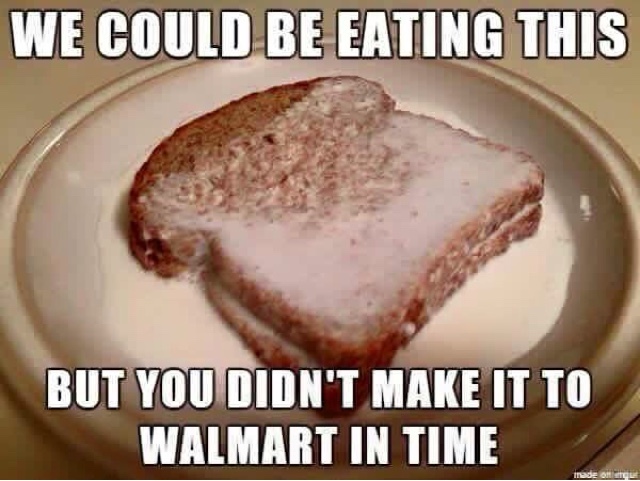 Which means don't waste your time on the whole wheat bread. It's simple and delicious (ok no it's not) which is why I bought real food.